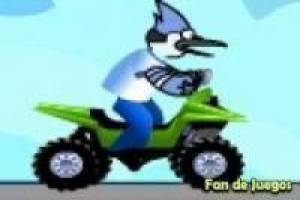 Move with Mordecai riding a quad bike or an ATV. You have to reach the goal by jumping obstacles and driving on the most dangerous roads. Can you reach the finish line in one piece? This fun game can be made from any device: Smartphone, tablet and PC. 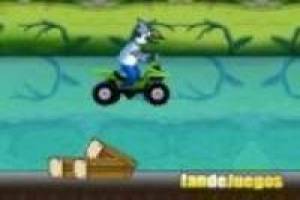 Dare and click on this game, help Modercai reach the finish line without crashing down the road full of obstacles. Adrenaline spends driving the motorcycle on dangerous roads without crashing. 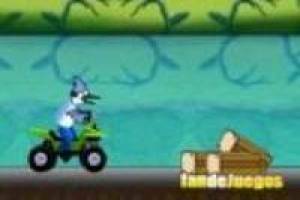 Enjoy the game Regular show: Stories on ATV motorcycles, it's free, it's one of our regular show games we've selected.